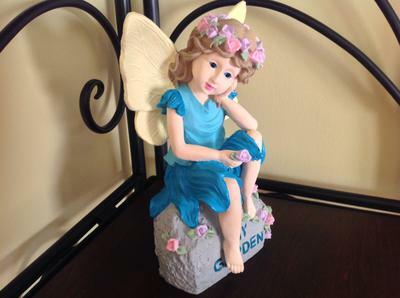 I love garden statues, and usually when you buy them from the store, they are either white or they look terrible. 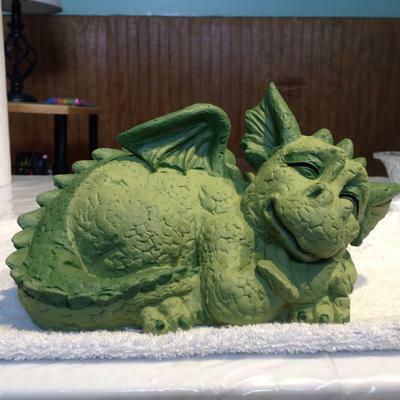 So I decided to research how to paint resin statues. I bought this plastic spray primer to seal the resin. Then it would hold the acrylic paint. 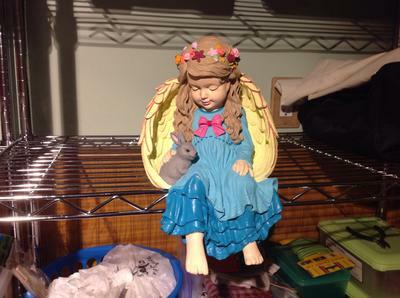 This photo of my angel statue, is my pride and joy. It took me a long time to paint her because I'm a perfectionist. But I think she turned out beautiful. The second picture is another angel, the first one I painted, it came from the dollar store years ago. She was my practice piece. 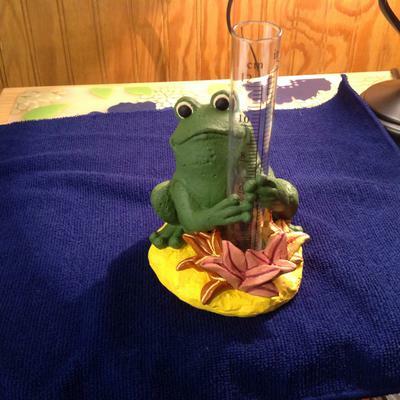 Then I painted a frog rain gauge for my daughter. And a dragon. I think they all turned out wonderful. And I'm very proud of all of them. It is a hobby that started out of no where. But I think it's really going somewhere. I enjoy it, even though some pieces take a good while to paint. It's all worth it in the end. Wow! How wonderful. You did an amazing job of all of them. I do hope you`ll keep sharing. These are all so delightful!